Under its CSR initiative, “Mere Sapno Ka Bharat”, a scheme was implemented by Carbon Basics, a brand of Pratibha Syntex, at its outlets. 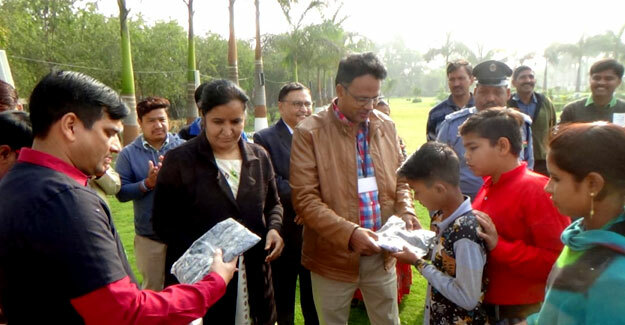 In association with Robin Hood Army, t-shirts were distributed to the children residing in slum areas of Indore and Ujjain, at Government School, Rau and at the factory premises. In Pithampur, Republic Day celebrations were held at Pratibha factory premises, where Niket Oswal and Kalpana Oswal , who had contributed maximum to the scheme, were invited as chief guests. Both chief guests distributed t-shirts to the children of the labour community at Pithampur.